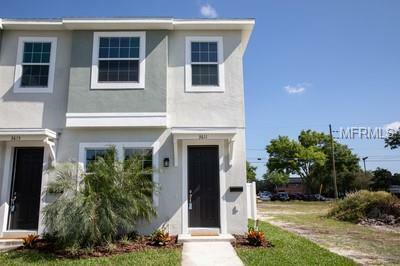 New construction townhomes , Step inside and you’ll find an open floor plan, with living/ dining area and kitchen all tied together with wood laminate flooring. The first floor also includes open living concept kitchen and a half-bath. Upstairs you’ll find 2 ensuite bedrooms with large closets and laundry closet. The kitchen features white shaker style cabinets with granite counter tops and brushed nickel fixtures and stainless steel appliances. Step out back, and you’ll be in your own private yard with a detached one-car garage. This new boutique development is just a block off Central and is very close to the restaurants and nightlife of the Grand Central Distract. This location is just a 15-minute bike ride or a 5-minute car ride to downtown.